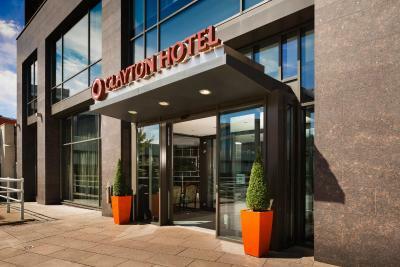 Lock in a great price for Clayton Hotel Cardiff – rated 8.8 by recent guests! Very clean. Polite workers. 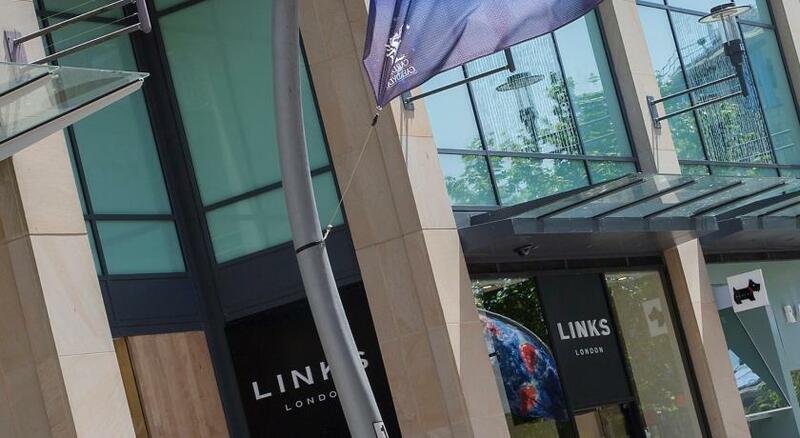 Perfect location for the city centre strip of clubs. 20mins walk to Cardiff city fc ground. No parking but we parked at the main train station 5 min walk away for £12:50 for 24hours. Which is pretty reasonable. 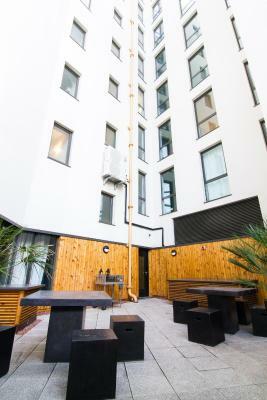 Very useful hotel for centre of Cardiff -- right by railway station which is great if you have a party the night before and want to dash early the next day !! Very comfortable room. Everything about our stay was perfect as soon as we booked in . The room was very quiet which was great didn't hear any noise . Staff was very polite at all times will definitely return . Two minute walk from train station plenty of places to eat in area. Hotel in really convenient place for city shopping and motopoint arena...purpose of my visit. 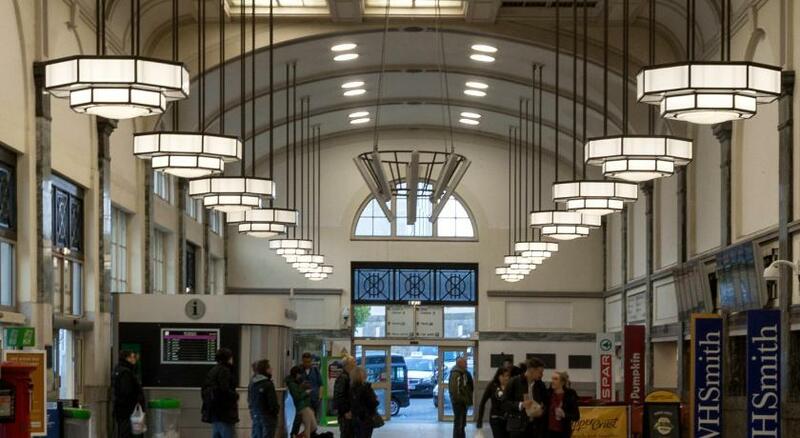 Really friendly and welcoming staff at reception. Lovely modern and clean room. 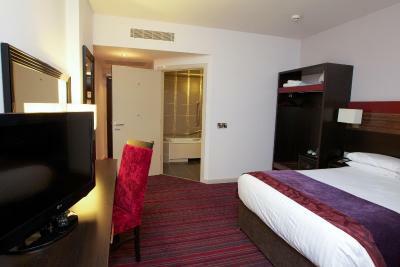 Comfy beds and great shower. Great that we didn't have to check out until midday Sunday. Really needed that lie in at this busy time of year. Close public parking in station was very handy. 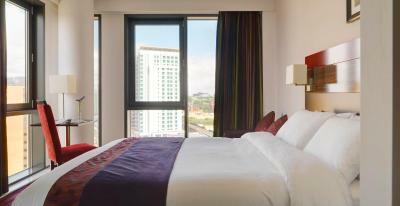 Spacious and clean rooms, value-for money and tasty breakfast, very convenient location. 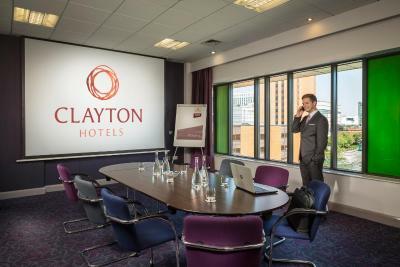 Clayton Hotel Cardiff This rating is a reflection of how the property compares to the industry standard when it comes to price, facilities and services available. It's based on a self-evaluation by the property. Use this rating to help choose your stay! 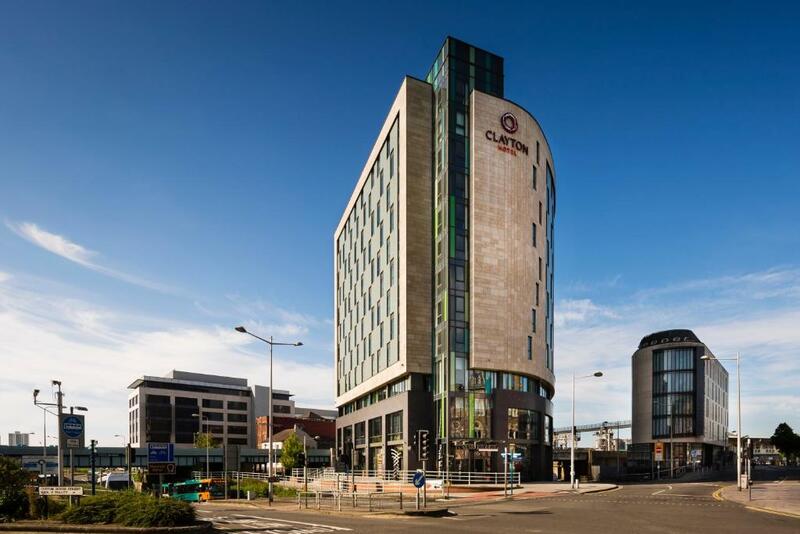 One of our top picks in Cardiff.With a stylish bar and restaurant, Clayton Hotel Cardiff offers modern rooms with free WiFi. 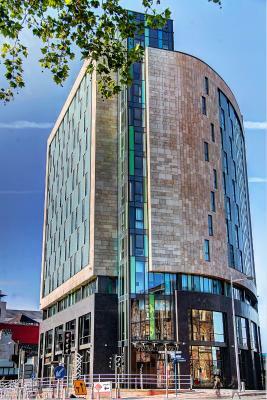 The hotel is adjacent to Cardiff Central Rail Station, and the Principality Stadium is 1,000 feet away. 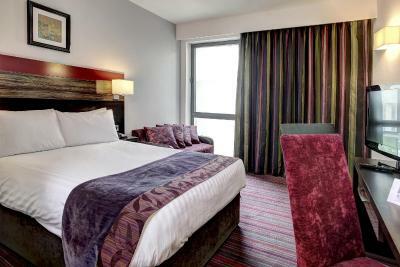 The air-conditioned rooms at Clayton Hotel Cardiff have a luxury bathroom and a seating area. 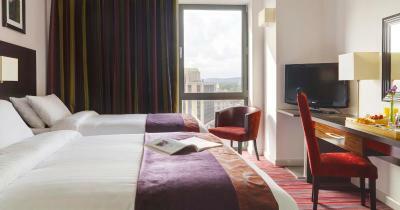 All rooms have a work desk, flat-screen TV, and tea/coffee making facilities are also provided. 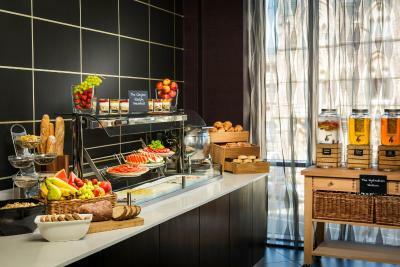 The View Restaurant has an international menu and wine list and a full buffet breakfast including the Clayton Vitality Breakfast are served daily. 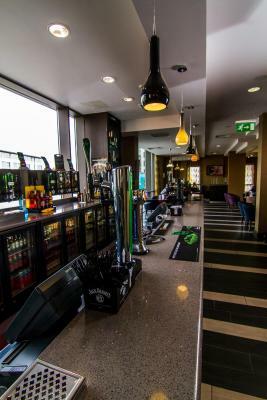 The on-site bar serves a range of beverages and snacks in contemporary surroundings. 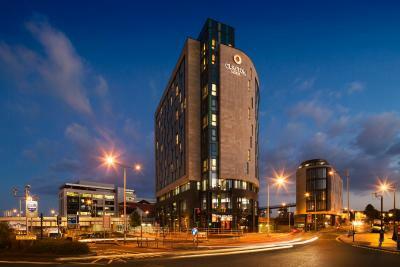 Located in Cardiff’s lively center, Clayton Hotel Cardiff is a 5-minute walk from the magnificent Cardiff Castle. 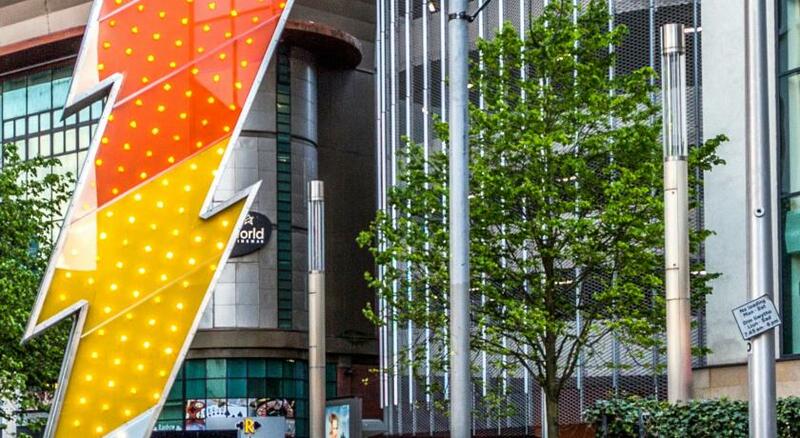 St David’s Shopping Center is 1,650 feet away and Cardiff Motorpoint Arena is a 5-minute walk. 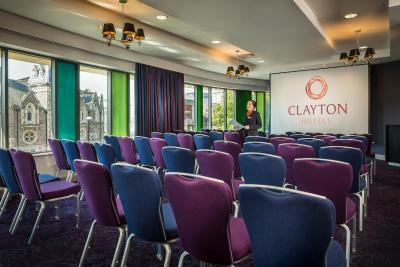 When would you like to stay at Clayton Hotel Cardiff? This room offers a pull-out bed that can accommodate one child under the age of 12 years. 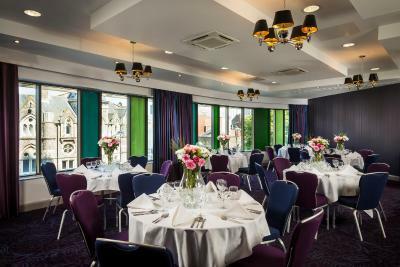 House Rules Clayton Hotel Cardiff takes special requests – add in the next step! 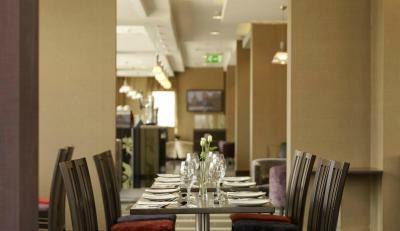 Clayton Hotel Cardiff accepts these cards and reserves the right to temporarily hold an amount prior to arrival. There is nearby public parking located at CF10 5RS. The restaurant had run out of gluten free bread and only had rolls, so I missed out on toast for breakfast. Staff were very friendly and let us drop off luggage before the official check in time. Whole bed was shaking like an earthquake from the wall behind. I suppose this happened each time someone opened a door behind my room or something. I had a lovely breakfast although I had to ask a member of staff to put it in the microwave to hear it up. Good in restuarant was quite delicious, although a little whale to wait for it. 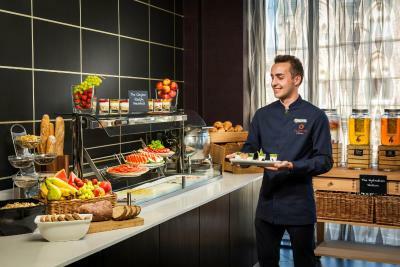 The breakfast has no labels for everything and veg options. As a foreigner I don’t know local food such as black pudding that has no label and I had to google it to know that it’s not vegetarian. 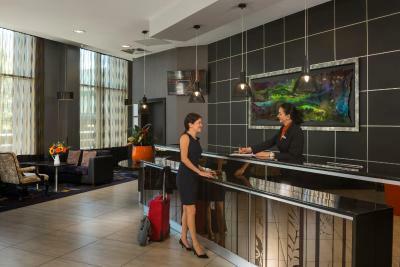 Staff are friendly and the room is clean. It’s very close to train station. I came back again as I liked it and it’s location. 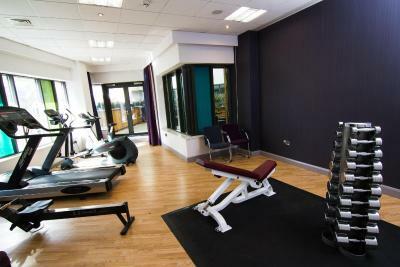 I think the room I was in would benefit from a bit of refurbishment. Our room overlooked train line so quite noisy. Room could have been bigger but very clean and comfortable and would stay again. Wasn’t told my card transaction was on hold when checking in and was told I had to complete paying at check out without proper explanation. Also expected more complementary items in the executive room fridge. Sky also didn’t work. Bar was okay and room was nice. A few guests being inconsiderate knocking on our door at 2pm and waking daughter up they had wrong room . Lighting in bathroom could be brighter. Everything but especially the breakfast.